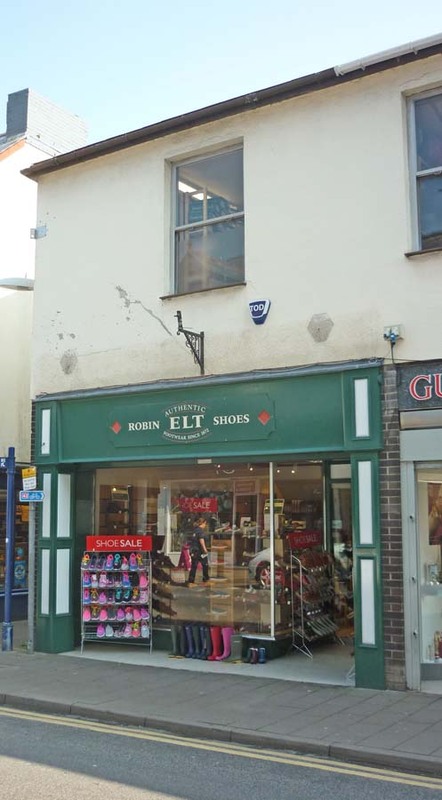 This was the site of the White Horse Inn. It was demolished in 1965. It was always prone to flooding from the Cibi Brook. The Inn had a famous aluminium sign. The White horse usually referred to the galloping white horse on the badge of the house of Hanover and was popular after George I came to the throne in 1714. The cellar has been filled in. 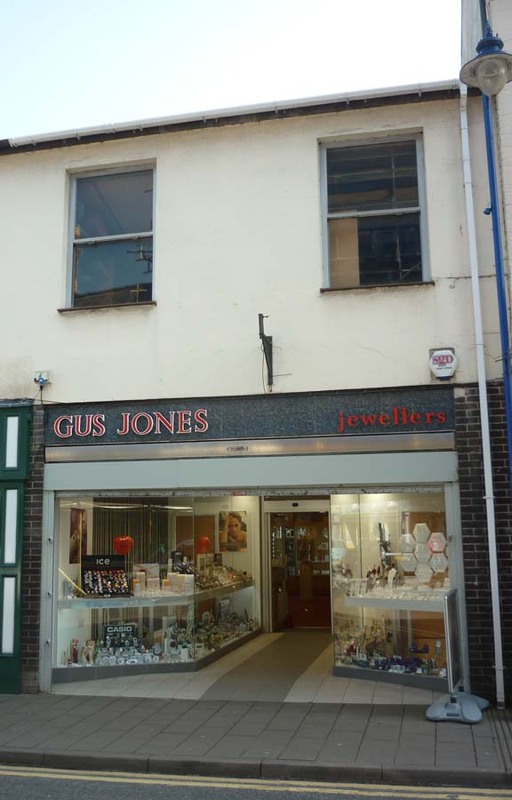 from around 1982: Mays Fashions took up the whole of the shop at no 18 and Clarice (Milliner) moved to no 14. 1980, 1978: Mays ladies fashions also at no 18. 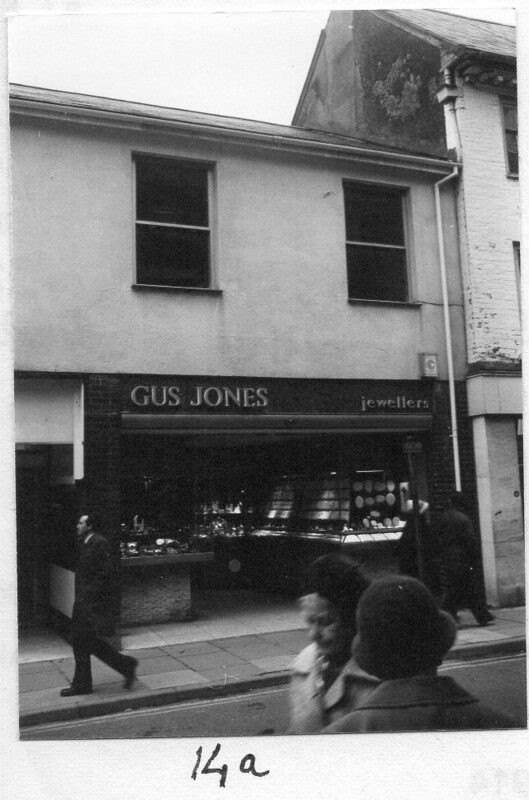 1973: 14A Gus Jones, clocks, jewellers (opened in March), 14B: May’s Fashions, ladies separates. 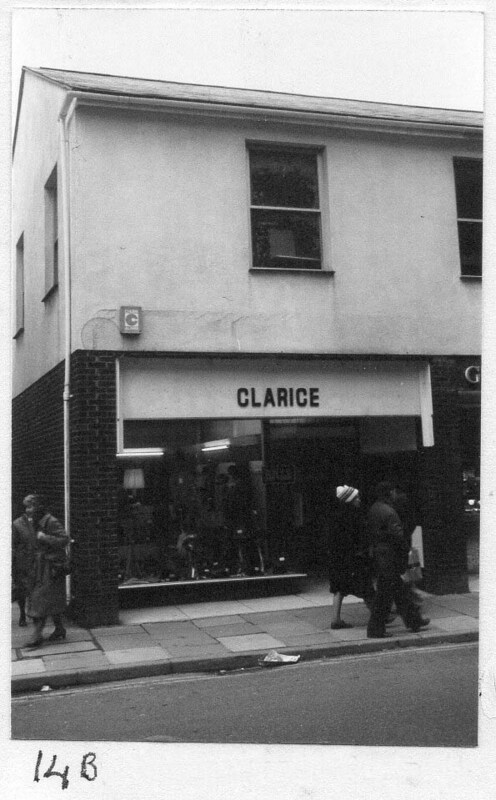 1967: 14A, Fleur Boutique, fashion shop, new teenage department February. In 1825 the White Horse Inn was the starting point for a walking feat to the Robin Hood Inn at Monmouth, back to the White Horse and on to the Lamb & Flag, then back to Abergavenny. Around 66 miles to be done for 6 days!